As 2017 draws to a close it should go without saying, dressing up in blackface is not cool, yet surprisingly there are people out there who haven’t got the message yet. I’m always bamboozled by the sheer amount of people who think it’s ‘okay’ to dress up in this way and their rebuttal being ‘oh we didn’t mean to offend anyone’. 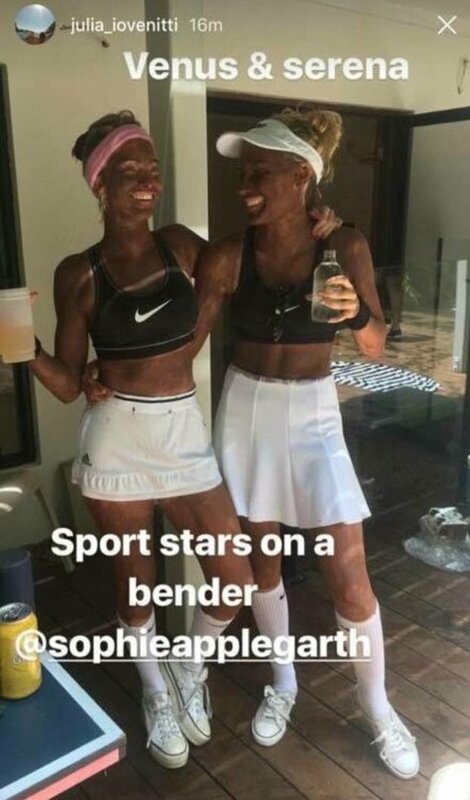 It’s the same tired excuse Australian models Sophie Applegarth and Julia Iovenitti attempted to pass off after sharing a picture on Instagram ‘dressing up’ as tennis legends and sisters, Serena and Venus Williams. Where to begin? So it seems the two friends ‘blacked up’ for a sports stars party they were attending, which according to the Metro was attended by another friend, Sally Coburn, who decided to don black make up to portray NBA legend, Kobe Byrant. Applegarth shared a picture of herself alongside Iovenitti on her Instagram stories – which is an utterly stupid move in itself because why would you do that? Why would you expose your own ignorance? Yet ‘ignorance’ is the keyword. People on Instagram were quick to let them know their thoughts as they blasted them for their poor choice in outfit – something they attempted to defend by saying they were ‘backing’ their beloved sports stars. … there is nothing racist about backing ur [sic] favourite sport stars mate… Go to school and learn what racism really means. In a feeble attempt to no doubt do some damage control, she later posted a disclaimer in which she said, she ‘did not mean to offend’. Disclaimer — I had no ‘racist’ or malicious intent by the photos I just uploaded. 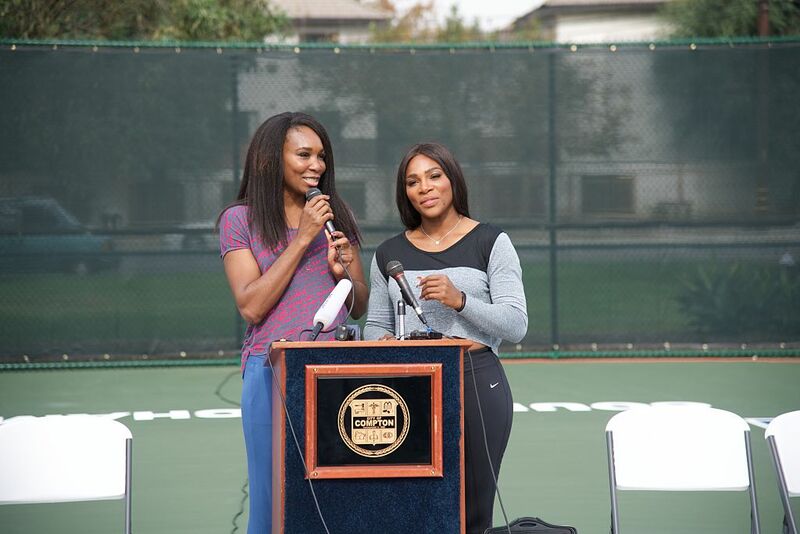 We were praising our fav sports stars Serena and Venus Williams. Did not mean to offend. It’s a strange way to show praise to a sports star you supposedly admire, I mean, couldn’t her and Iovenitti come up with another way to acknowledge the two sisters which doesn’t involve applying offensive makeup? Maybe it’s too much to ask of some people? Whatever her ‘crass’ reasoning is, it looks like the damage has already been done to her modelling career – the social media backlash has resulted in Applegarth’s profile being removed from her agency’s website, Chic Management. 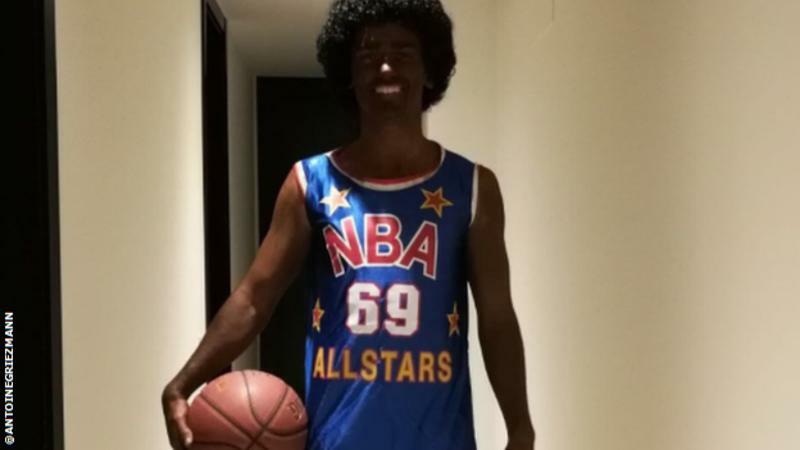 Just this month, Athletico Madrid and French international striker Antonio Griezmann courted controversy after he posted a picture of himself ‘blacking up’ for a 1980s themed fancy dress party before posting a photo on Twitter. Don’t people like Griezmann, Applegarth and Iovenitti have agents and PAs who should be advising them against doing these things, if they fail to see the inappropriateness themselves? Blackface will never ever be okay. 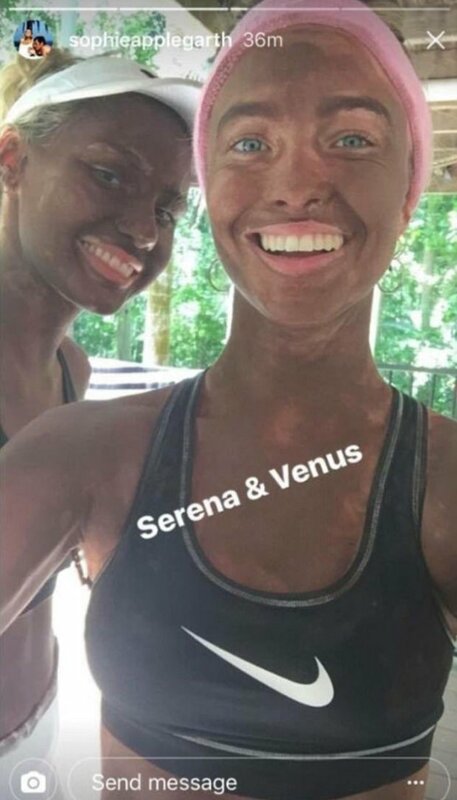 Wearing makeup of any other race will never be okay. Neither is the Dutch Christmas tradition of blackface okay. So stop doing it unless ruining your reputation and career is your ultimate goal.